I’ve got a lot to fill you folks in on. 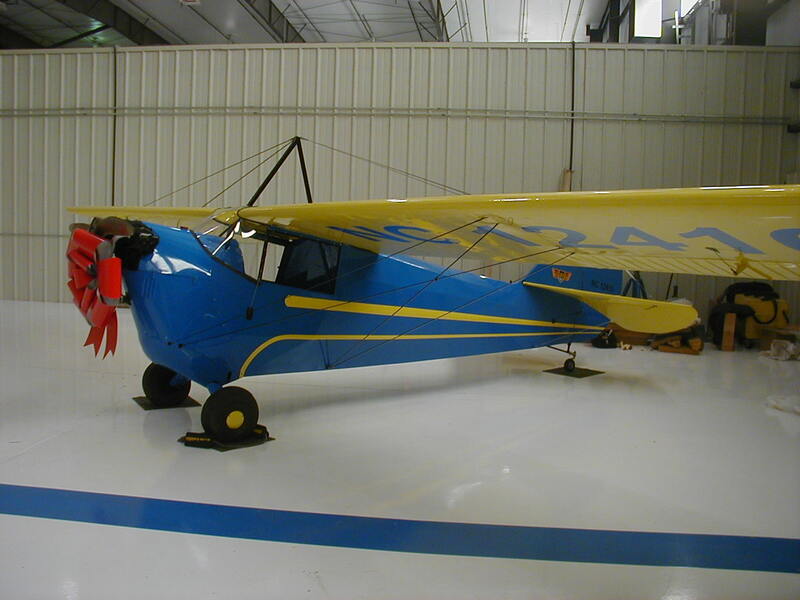 . .
Over the past couple of months, we’ve been completing an Aeronca C-3 project for one of our customers, Mr. Tracy Forrest. 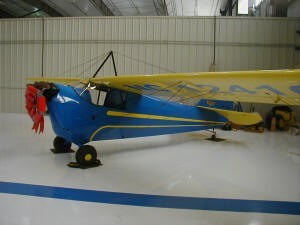 Tracy bought the basket case to present as a surprise gift to the Wilson Family at the Wilson Air Center in Memphis, Tennessee. The group here at Barnstormer’s completed the project in early December. 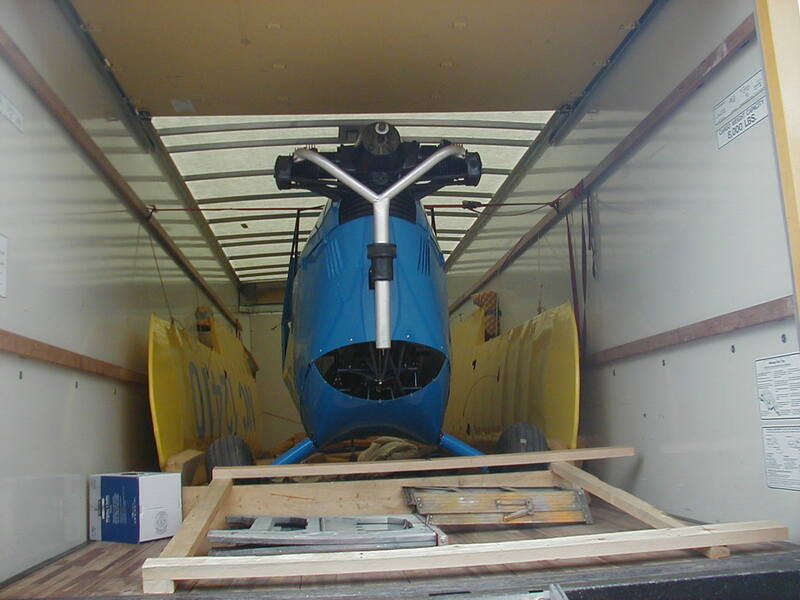 David Harwell and Vern Stephens, two of our important team members trucked the airplane to Memphis (Road Trip), assembled it, and were in atttendance for the presentation. 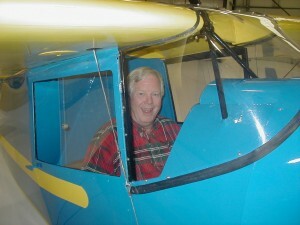 The airplane will be displayed at the Wilson Air Center. 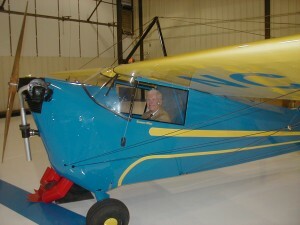 Mr. Kemmons Wilson barnstormed in the 1930’s in a C-3. In WWII, he flew the Hump. After the war, he and his wife started a “little” motel chain called the Holiday Inn. Mr Wilson, Sr. passed away in the 1990’s. 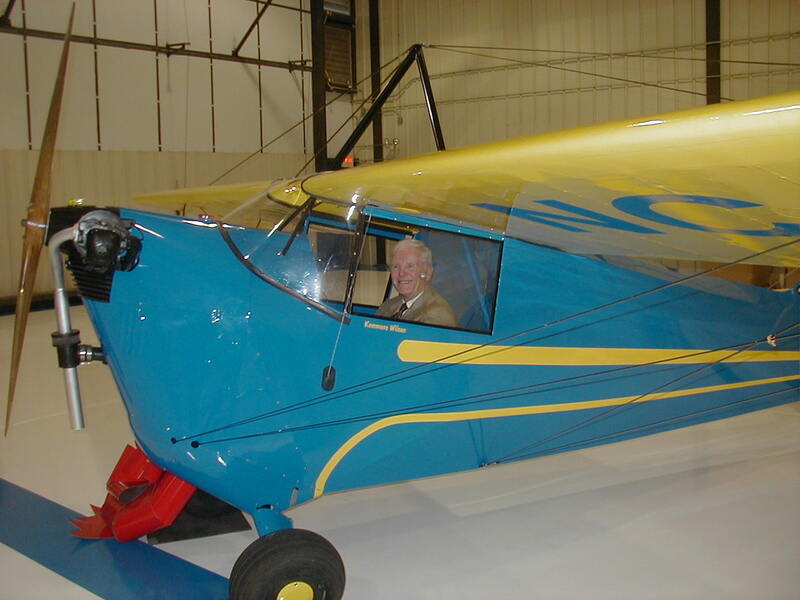 The airplane was a gift for his family and was painted and finished out just as Mr. Kemmons Wilson’s original Aeronca C-3. Attached are some great photos of the presentation. We hope that the Wilsons enjoy the airplane!! 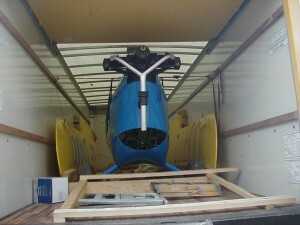 Meantime, back in Georgia, we are working on the Taylorcraft and Citabria restorations. We are in the painting stages, and I hope to have photos for you next month.